So begins one of Alfred Hitchcock’s most amusing scenes, the famous club car seduction scene between Cary Grant’s Roger Thornhill and Eva Marie Saint’s Eve Kendall in North by Northwest. Seduction isn’t really the right word; it’s more of a pickup scene between two people who don’t seem to be in the habit of resisting. Grant’s Thornhill seems the type to always have his motor running; clearly, it’s Eve who’s shifting the gears. Two great Hollywood movies—that’s a pretty good record for a Martini with an onion in it. Except that it isn’t that simple. In fact, history tells us that the Gibson is absolutely not a Martini with an onion in it. Close, but no. For starters, it turns out that the original Gibson probably did not have an onion garnish. That particular bit of presentation— now considered the hallmark of the Gibson— isn’t listed in any early recipes, and apparently doesn’t show up until the 1920s. As for the actual origins of the Gibson, that’s where the fun really starts. Just as with the Martini and many other simple cocktails, there are lots of origin stories, each attaching fame and glory to one Gibson or another. …Steve Zell at the Occidental Grill in San Francisco says the name came out of Chicago. “You’ll notice that Gibsons are usually served with two skewered onions. I heard that during the twenties in Chicago there were twin sisters named Gibson who loved Martinis but hated olives. Whenever they’d go out, they’d get the bartenders to use two pickled onions—twins for twins. Cute story. As bogus as they come, but cute. Two of the origin stories actually have a chance at being (sort of) true. The one that’s been most circulated until recently is that the drink is named after Charles Dana Gibson, the famous New York advertising illustrator who invented the Gibson Girl. The gist of the story is that Gibson was at the Player’s Club in New York, and challenged the bartender, Charley Connolly, to make him a better Martini. Connolly plopped an onion in his standard Martini, called it the “Gibson,” and that was that. The story that seems to have gained traction recently among people who study these things posits that the Gibson Cocktail was first poured at San Francisco’s Bohemian Club sometime in the 1890s. The namesake Gibson in this story is a Walter D. K. Gibson, apparently a successful local businessman. According to Eric Felton’s research, the credence of this version is supported by an 1898 reference to the drink, which appears to be the first in print. 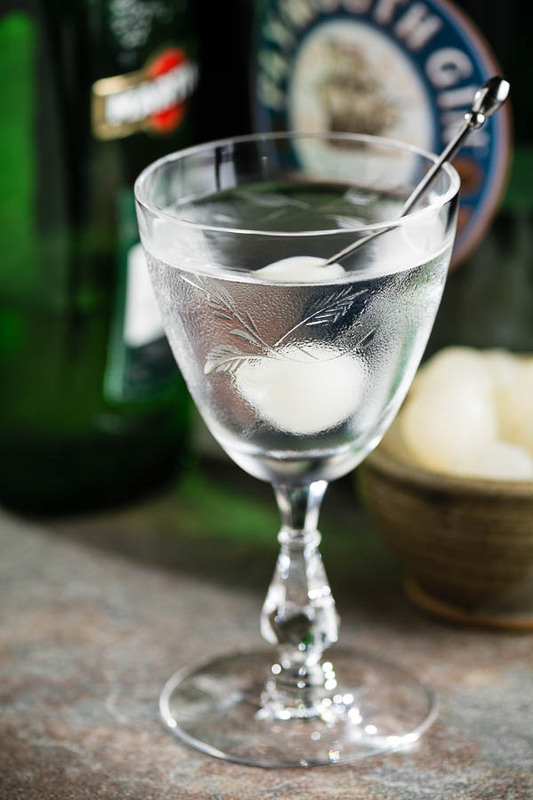 Whatever its origin, the Gibson is one of the simplest of cocktails, even simpler than the venerable Martini to which it is often compared. Stir the gin and vermouth with ice until very cold; strain into a chilled cocktail stem. Garnish with onion. Early published recipes call for equal parts of gin and vermouth. I’ve seen some commentary suggesting that the original was actually much drier than the published formulas state, but I’ve never seen anything to support that. I do prefer to make the Gibson at about 2:1 or 3:1. I also recommend the classic London Dry gins like Beefeater and Bombay Dry; they both blend well with the savory nose and flavor of the onion. The onion itself can be a difficult customer. 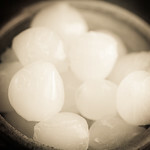 The typical grocery store cocktail onion is a sharp, rather harsh item; it makes a nice-looking decoration in the drink, but doesn’t help the flavor of your drink, and is unpleasant to eat by itself, unless you have a particular taste for preservatives and vinegar. Fortunately, the web is full of good recipes for cocktail onions. They’re quick and easy to make (for anyone who can boil water), and the result is both gratifying and delicious. “Chasing the Gibson Cocktail” at cold-glass.com : All text and photos © 2016 Douglas M. Ford. All rights reserved. Excellent post! Good to learn about this deceptively simple drink. Great history! I love Gibsons and far prefer them to Martinis, but never knew their origins. I think I just like gin better than vodka, and the vermouth, in my opinion, sets off gin far better than it does vodka. And I always thought the pearl onion was just for show, so it was nice to read about where it actually came from. Your photos are beautiful, too. If it wasn’t 9:00 a.m. on a Sunday morning where I am, I might be tempted to whip one up. :) Lovely post. I agree, the Gibson doesn’t really come across as a brunch cocktail. I’m glad you enjoyed the post, thanks! Am curious — what will you be drinking on election night? Interesting question. Odds are good I’ll start with a Martini (or Gibson), and end with bourbon on ice. As for what goes in between, I’m looking forward to finding out. LOL. I am still trying to figure out how to start. Haven’t even gotten to thinking about how to end. All I know is that a Ward 8 will be somewhere in the mix. Depending on what goes on during the day/evening, a Dark and Stormy may also make an appearance. Dark and Stormy, that’s amusing. And probably appropriate, no matter what happens. I know what you mean about the smell of the onion at the bottom of the drink. I think there’s a real difference in onions, with the heavily-pickled commercial ones being the biggest offenders. I have had better luck with onions I’ve prepared myself, perhaps because they’re fresher, and a bit less full of vinegar. But in the end, if you don’t like it, then that’s something good to know. By the way, I’ve been enjoying your Martini series at Instagram, thanks for that! Excuse me, but…I could’ve SWORN there was this drink that contains gin and vermouth, is stirred, and has an olive in it. I could be wrong, but…there’s this niggling idea that I’m not. It suggests that Boothby was an adamant Martinis-must-have-bitters guy. In the modern age, where the bitters seem to be generally omitted from Martinis, there is little distinction between Boothby’s Gibson-with-olive and the average bar’s Martini-with-olive. In Boothby’s day, it seems to that a bitters-free Martini was such a departure as to call for an entirely new name for the drink. At least, that’s my reading of the evolution of the two recipes. Could be, I suppose. The first time I know something that we’d recognize as a Martini, and under that name, it’s in Harry’s ABC, where the bitter is mentioned, but is optional. So, not at all impossible indeed.